Aww the Super Bowl. The crowning jewel of the long and arduous NFL season. America’s unofficial national holiday. The one game of the year where 1 in 3 Americans throw a party, celebrate commercials and watch the highest rated show on TV. Coming off a year with declining ratings, national controversy and increasing concussion protocols, the NFL needed a dream Super Bowl matchup – they got their worst nightmare. If you live on the West Coast or even west of the Mississippi, as my old grand pappy used to say, who are you rooting for in Super Bowl LII? Unless you live in Philadelphia or Boston – this super bowl is going to be the worst ever. A Northeast regional game between two teams only a mother can love. 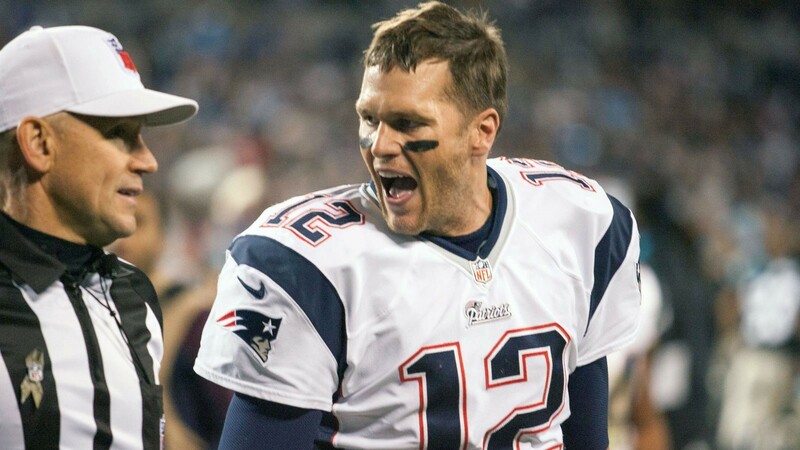 One despised for having the worst fans on God’s green earth and the other so mired in cheating, rule bending and shady behavior they have their own nicknames, Cheatriots, Tom Shady, etc. As a Dallas Cowboys fan, I can’t, and never will, cheer for another NFC East opponent in the Super Bowl – EVER. Despite my natural tendency to dislike a divisional opponent, the list is long on reasons why no one should celebrate the Philadelphia Eagles. Let’s begin with fan behavior that hits close to home against my beloved Dallas Cowboys. When Hall of Famer and 3-time Super Bowl Champion Michael ‘the playmaker’ Irvin went down at the Vet, Eagles fans cheered his potential paralysis. How can you want these fans to celebrate a title? Fans from Philly make a soccer hooligan blush. These same fans booed Santa and pelted him with snowballs. The stadium has its own jail and a Philadelphia Phillies fan deliberately vomited on a little girl because she cheered for a team that wasn’t from Philadelphia. The latest example of the horrible fans in Philadelphia, the city of brotherly love, can be found in a simple Google search where Eagles fans take and urinate on Vikings’ fans hats. Even our founding fathers realized the city was toxic and moved our nation’s capital after some Eagles fans roughed up Ben Franklin. Philly Cheesesteaks – Best. Sandwich. Ever. Rocky – well written yet poorly acted franchise that devolved with each new movie. Not even a real guy yet he has a statue in the city of brotherly love? Highlight was bringing Mr. T. to national prominence and making us fear the Russians just that much more, ‘I must break you’ was the quote of the movie. The Goldbergs – a hilarious sitcom about a Jewish family outside of Philly. Watch it. Despite the constant references to Philly sport teams it would have made my top 3 but it’s not edible. Invincible – Great football movie about a Philadelphia Eagles player starring Marky Mark, who unfortunately is a fan of the Eagles opponent in Sunday’s big game. Now that I’ve made my case against the Eagles, what is so wrong with the Patriots? Surely their fans are not as goonish and you would be correct in that assumption. Unlike the Eagles, the problem with New England is not their fans, but the team itself. They are owned by a public drunkard. They are the Eddie Haskell of the NFL and classic cheaters. Play them in Monopoly, they won’t pay rent when they land on your property. Play golf with them, every shot is a mulligan. Give them an inch, they take a mile – you get my point and you know people like this – and you don’t like them. This is the New England Patriots. Is there any other franchise in sports with a more documented history of cheating, rule bending and bullying than the New England Patriots? No, they truly have the dynasty on that. This is their 8th Super Bowl appearance but they have been caught up in almost as many cheating scandals. Including under reported deflategate, deflategate, spygate, cheating in Super Bowl XXXVI, cheating in the Super Bowl XXXIX, Brady bullies officials, list of NFL rule changes to stop Patriot cheating, the Brady rule, hiring a savant to bend rules and this what I found in just a ten minute search. Joe Montana and the 49ers never had this reputation, the Vince Lombardi Packers were simply better than everyone else – the New England Patriots just bend the rules like no other and are celebrated for it instead of deplored for it. Clam Chowder – it’s always available on Friday to keep the ‘fish on Friday’ Catholic thing. Who are you rooting for? We all lose no matter who wins.